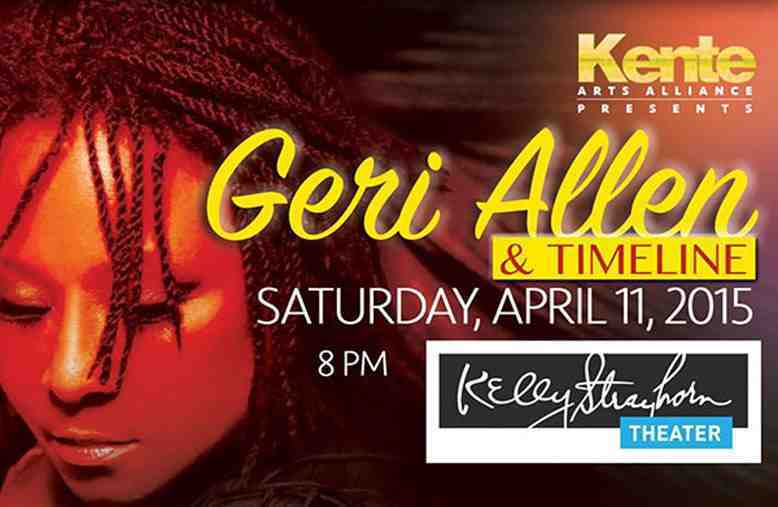 BAP OFFICIAL E-BLAST - GERI ALLEN & TIMELINE, THE JAZZ CONCERT OF THE YEAR! THIS SATURDAY, APRIL 11, @ 8PM AT THE KELLY STRAYHORN THEATER! Along with being a touring artist, Geri is currently the Director of Jazz Studies of the University of Pittsburgh.